When a couple bought one of the most exclusive streets in San Francisco for $US90,000 in 2015, outraged residents sued the couple and the city. City leaders voted in November to reverse the sale. The couple has not been reimbursed their $US90,000. The Bay Area couple that paid $US90,000 for a private street in San Francisco is still waiting to be reimbursed, after they said the rich homeowners who live there made them return the street. 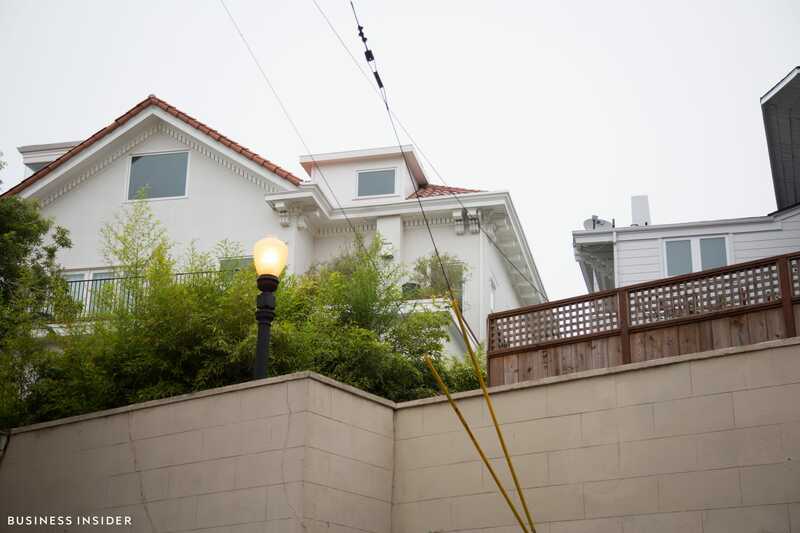 In 2017, Michael Cheng and Tina Lam shook up the gated community at Presidio Terrace when residents found out the couple had purchased the street, its footpaths, and its shrubs for nearly six figures in an online auction. The city had put Presidio Terrace up for sale in 2015 after the homeowners’ association failed to pay property taxes on the street for more than a decade. The homeowners railed against the city for allowing Cheng and Lam to scoop the street up from underneath them without notice. They sued the couple and the city. Last November, the San Francisco Board of Supervisors took the unprecedented step of overturning the tax sale. Cheng, a real estate investor, told Business Insider that he and his wife have not been reimbursed their $US90,000, or the money they paid in property taxes on Presidio Terrace. “The bills are still coming to us. You get a tax bill, you pay for it, you know?” Cheng said. For at least 17 years, the city’s treasurer and tax-collection office mailed tax forms to the address of a now-deceased bookkeeper who worked for the homeowners’ association before retiring in the 1980s. Over the years, the $US14 annual property tax went unpaid by the people who live on Presidio Terrace. (San Francisco taxes the private street as a separate parcel from the homes on it.) The bill racked up hundreds of dollars in penalties and interest. Melia Robinson/Business InsiderThe multimillion-dollar mansions at Presidio Terrace sit behind a stone fall that surrounds most of the development. The well-heeled residents requested a hearing before the San Francisco Board of Supervisors that was held in November. City leaders decided that the city’s tax-collection office did not make a reasonable effort to notify residents of the unpaid tax bills before awarding the street to the highest bidder. They voted 7-4 to reverse the sale and reimburse Cheng and Lam. Cheng told Business Insider in a recent interview that he believes supervisors voted in a way that would be pleasing to their wealthy and politically connected constituents. “The most obvious interpretation I have is these are probably the richest residents of SF, with supervisors who like to have wealthy donors,” Cheng said. The couple is still grappling with the reverse of the sale. They are suing the City of San Francisco to win their street back. Cheng and Lam also launched a GoFundMe page in January with the goal of raising $US50,000 for their legal defence.